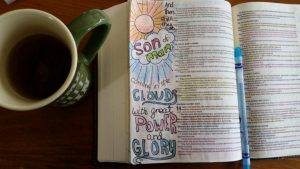 Have you ever tried journaling about what you read in your Bible? There are so many ways to journal about what you are reading in your Bible and I am hoping that what I share on my blog will inspire and encourage you to give it a try. If you are already Jesus Journaling, be sure to share your journey in the comments or in my Facebook group. When I was in college, a friend helped me to set up my first Jesus journaling binder. She shared with me that wherever I would go in life, I would never be able to get away from God. He would go with me the whole way. And He has. I hardly ever used that first journal but somewhere along the way, I started journaling. Mostly just copying Bible verses that spoke to my heart or sermon notes. During the past year, I have added a new type of Jesus Journaling when I have the extra time. I have been drawing in my Bible in what is often referred to as Bible journaling art or doodling. 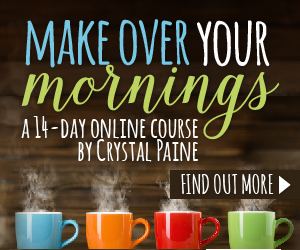 I hope you are blessed by what I share about Bible journaling in the posts that I will link below as they are added to this blog. Often I illustrate through Bible journaling and use it to share a devotional with you. I am truly blessed that you stopped by and hope you will grow in grace as you are drawn closer to Jesus Christ. Are You Going Deeper With The Cross Of Christ? Does God Want You To Be Coloring Mandalas?